I always accept new students and welcome them in my private teaching studio. Regardless of age and level, I enjoy teaching and becoming part of students learning experience. 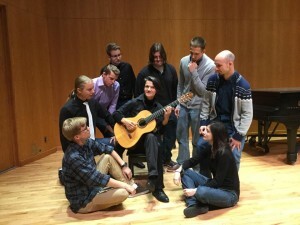 Aside from studio at University of Minnesota (West bank), I maintain small home private studio, working with young beginning guitarists, students interested in improvised/contemporary music, Balkan music and students that work on advanced classical guitar repertoire. Please see contact in order to get in touch with me!